We have a new selection of wonderful draperies perfect for beautifying your space with new window treatments. A selection of these draperies are 108 or 118 inches wide, so you don’t have to purchase as many yards or stitch together so many panels. 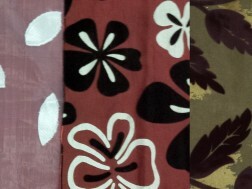 We have sheers, faux silk, and flocked draperies in a variety of colors and styles. Upgrade your space with custom curtains.